SAN FRANCISCO--(BUSINESS WIRE)--Apr. 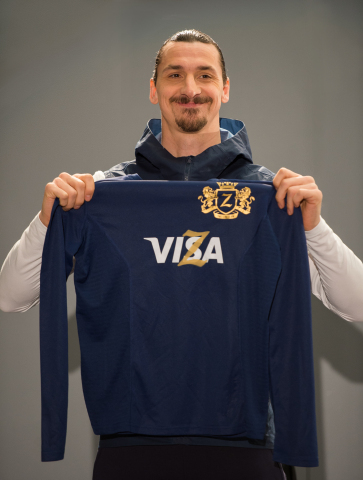 17, 2018-- Visa Inc. (NYSE:V) today announced professional footballer, Zlatan Ibrahimović, will be the new face of its global marketing campaign in anticipation of the 2018 FIFA World Cup Russia™. As the Official Payment Services Partner of FIFA, Visa, in collaboration with Zlatan, will help fans not miss a moment of the action this summer.